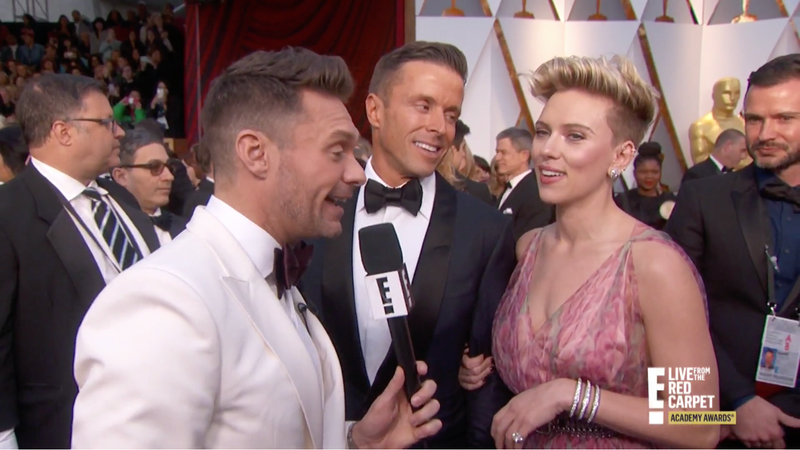 For over a decade, Ryan Seacrest has been as much of a fixture on the Oscars red carpet as assistants on the verge of nervous breakdowns, celebrities’ mothers, and Meryl Streep. The three hours before showtime—when celebrities take that long stroll from their limos to their seats—have all but belonged to him and E!’s Giuliana Rancic, for better or worse (mostly worse). But on Sunday, his reign may come to an end while he’s still sitting on the throne. ...top Hollywood publicists tell Page Six that they will steer many of their stars away from Seacrest on the Oscar red carpet...The flacks said they would instead direct their clients to Seacrest’s co-host, Giuliana Rancic, or skip E! altogether. The news comes amid allegations that Seacrest sexually assaulted and harassed a former stylist—claims he has vehemently denied, and which E! has investigated and deemed baseless. On the red carpet, it’s Robin Roberts, Ross Mathews, or bust. And at the after show, it’s all about former E! host Catt Sadler, who landed a great gig over at Vanity Fair’s Oscar Party. God, watching him smile as publicists whisk their clients past him is going to be good television.